The Yadkin Valley Senior Center (NC) is hosting Pickle-Ball classes. 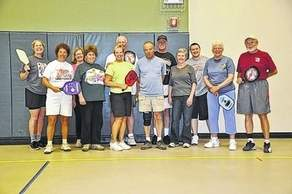 Pickle-Ball is a sport for primarily seniors, combining tennis and badminton. The senior center offers a class Wednesdays at 10 a.m. for people of all skill sets. Players range in skill from “never heard of Pickle-Ball” to expert.